The most common request from Linux users continues to be, "Are your plug-ins going to be available in LV2 format?" And I'm pleased to officially announce: yes. 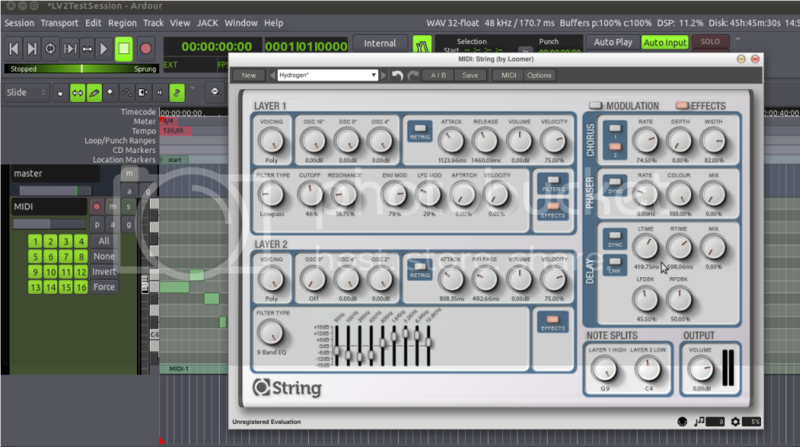 We've in-house LV2 native versions of our entire plug-in line running in LV2 native format, and to prove it, here's a quick glance at String in Ardour 3.